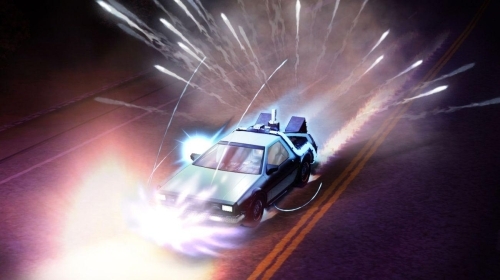 Six months in the making, Back To The Future: The Game wraps up in its wondrously unsettling finale, OUTATIME. 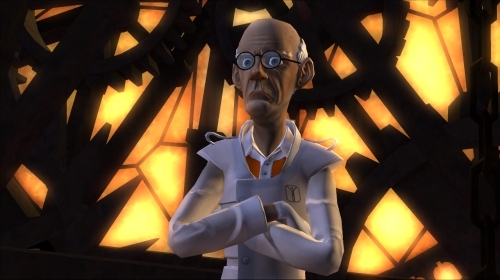 Things were looking grim in the final few moments of episode four; Edna and Citizen Brown were plotting against Marty and even though young Emmett had committed himself to building a new invention for the Expo it was hard to say what was going to happen to the timelines, to Marty and to the Doc we all love from the movies. While it wasn't as easy to list out what was going to have to be fixed from the beginning this time around, things start falling apart quickly. Young Emmett goes missing, Citizen Brown goes off the deep end, and Edna, well, Edna's the same righteous verging on insane annoyance she has always been. Surprisingly, taking place in the 1930's yet again wasn't such an issue this time despite being in familiar areas. The majority of this episode is spent in the Expo, which even gets its own special little theme song from Trixie Trotter. OUTATIME introduces one new character, who ends up being something of a letdown. Strangely, he doesn't even have a face, odd for someone (supposedly) as famous as he is. Jacques Douteux is an underwater explorer, who is perhaps appropriately dressed in a diving suit, that just so happens to help out with a situation later. As we build up for the finale, prepare for your mind to be blown. When last we left our hero, Marty McFly, Citizen Brown was on his side, and although they were both prisoners it seemed like they were well on their way to making things right. From the looks of it, all they had to do was escape, go back to the 1930's, and ensure that Edna and Doc never got together. As usual, despite all the amazing feats the two had pulled off in the past (present? future? ), things never quite work out they way you'd expect. That said, with the DeLorean needing major repairs and the 1930's being full of love, betrayal and heartbreak, this episode will leave you speechless. Granted, that description does sound a little like a cheesy romance novel, but honestly when the unthinkable happens at the end of this episode it will blow your mind. Heading back to Hill Valley of 1931, although necessary, was a little worrying. There had already been two episodes having us trapped in the same small spaces for nearly the entire time and it wasn't all that appealing to look at. The space was generally lacking compared to the quality of the characters but mostly it was a been there, done that feeling. Luckily after a brief, mostly unimportant stint in front of the courthouse, we were in two new locations this time around; the Expo entrance and young Emmett's workshop. Neither place had much playable area but they got the job done and were something new to look at. 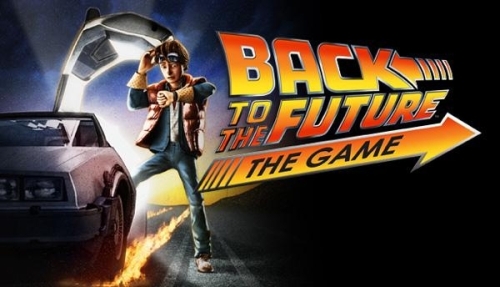 The latest chapter of Back to the Future: The Game is one you won't want to miss. As we left Marty and Doc making their way back to 1986 we knew things weren't going to be the same. 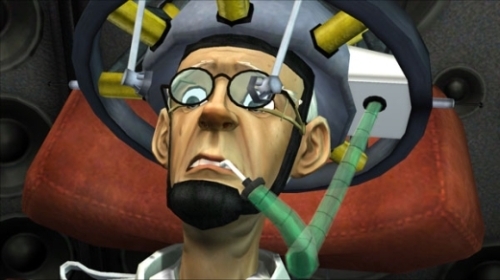 With Doc never making it in to see Frankenstein as a teenager he was never truly inspired and therefore never got the ideas for his inventions. With a set up like this it seemed we were doomed to just more of the same old; wandering around a lame looking town having the same stupid conversations with the same boring people. Well that couldn't be further from the truth. Doc gets things done when he's got a wife like Edna to focus him on things like bettering society. While there isn't necessarily more to look at it's definitely a nice change to have a different background that actually seems to be at par with the characters. The colours are brighter and while a lot of the town has been remodeled with a modern look the basic map and playable area are the same so you can still easily know where you're going while being in a new area. As annoying as the controls and stagnant camera were in the previous two episodes it really wasn't as noticeable this time around. They didn't change anything about it but with any game you eventually get used to the way things work and just preemptively know how to get around things without messing up the controls. 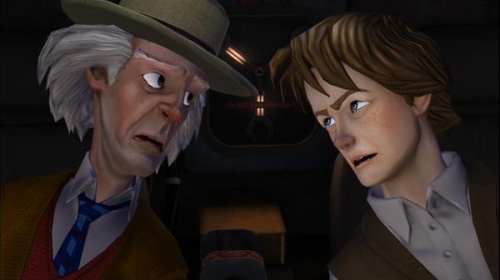 Telltale Games' five part Back to the Future series continues in this point and click adventure. With something as iconic as the Back to the Future franchise people are expecting big things. Given the rich story of the original trilogy, one would have thought developer could easily found something that worked for a game. Sadly, besides the notion that it is our first new bit of the Back to the Future gang in twenty-five years this game doesn't have much going for it. Episode One was released back in December and after waiting over two months the second piece of this five part game was released. There was some hope that they would improve on some things in those two months but sadly we're left with the same slow paced game we found in the first episode. For the small cross section of Hill Valley you're exploring there is still a disappointing amount of playable space. Just crossing the road becomes a hassle when you can only cross at two points (apparently people didn't jaywalk back in the 1930s) and the stagnant camera messes with the controls often resulting in a frustrating, and at times disjointed, experience.